Sparkly cocktail rings that take over my tiny wishbone fingers. 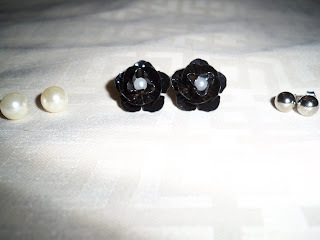 Studs of any variety, but pearls, flowers, and wanna-be silver Tiffany balls adorn my ears at any given time. Layering bracelets looks so pretty. I have three I like to layer, but I need at least two or three more! 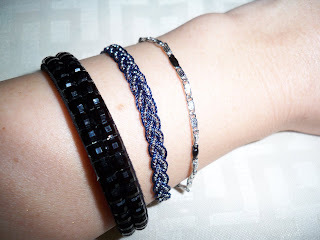 i love layered bracelets. 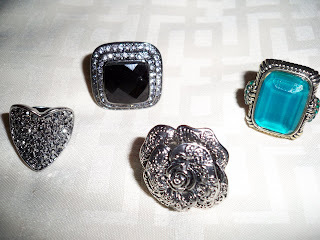 those rings are absolutely gorgeous by the way! Thanks girls, jewelry is so fun to play with.